As the SO and I were walking hand in hand home from our bus stop, we suddenly realised today was our 2nd year wedding anniversary. In all the hubbub of work and life, the occassion failed to dawn on us, so the SO insisted we head out to dinner to mark the occassion. This was my favorite course of the meal. The crab meat is so fresh and sweet, and I wouldn't be surprised was hand-pried out of the shell. 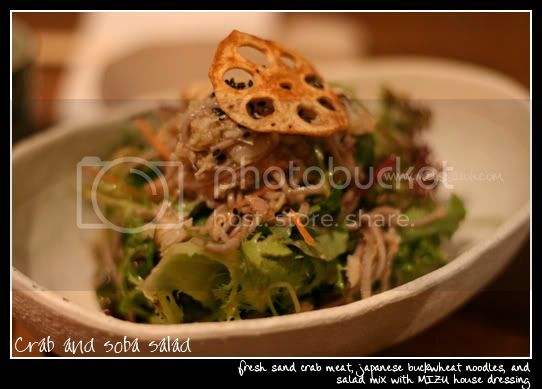 The soba noodles are also thinner than the dried pre-packaged types commonly found in supermarkets, so not as starchy. And the fancy lettuce? Cold and crisp. 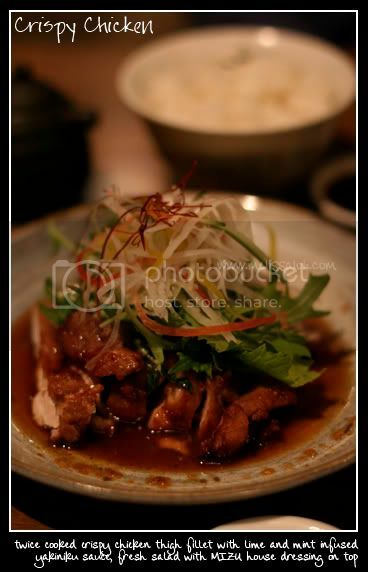 I have to say the bar has been set with Melbourne's Ibuki. Still at AUD$20, this is a lot better than a number of Japanese eateries in the city. The SO chose one of the specials on their chalkboard. 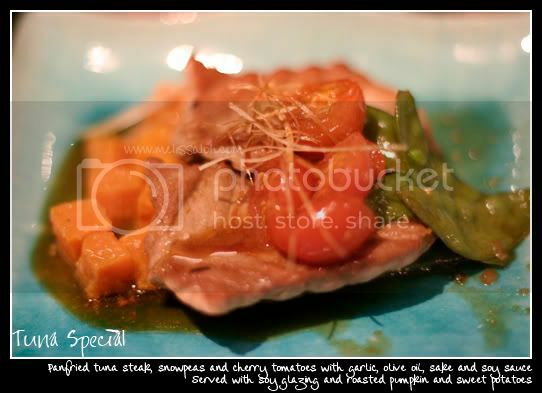 The rich flavours of soy and tuna was mature and soothing. At this point, we realise we're still not quite full. So we decide for one more dish and a bowl of rice to share. So yummy! A bit on the spicy side, but drool worthy nonetheless. 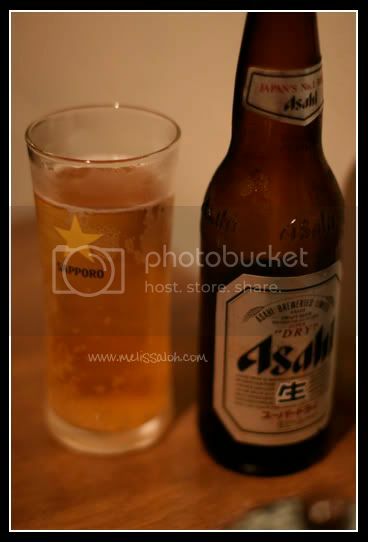 And not forgetting the Asahi beer. Overall, a really nice eat with small to moderate portions, but a little pricey for my tastes. I'd love to go again to try their weekend breakfast menu. 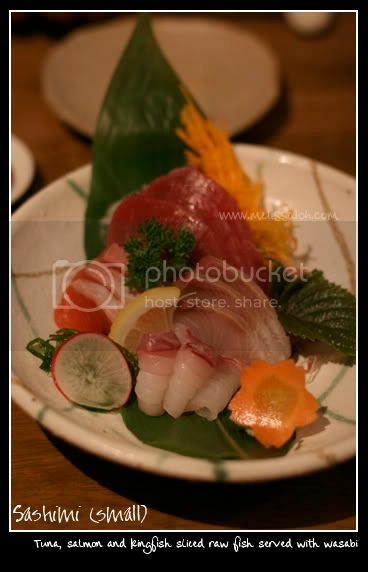 Mizu also runs sake tasting events and cooking classes. The last sake tasting session has been fully booked, so we'll have to wait for their 2010 schedule to be announced. You get 3 sakes to taste with 3 nibbles for AUD$10.